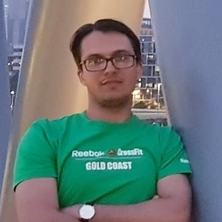 Dr Majid Ejtemaei is an Advance Queensland Research Fellow in the School of Chemical Engineering. Majid obtained his Ph.D. on flotation surface chemistry from The University of Queensland. His current research works mainly focus on flotation and dewatering. Master and PhD studies: Projects in the areas of colloid and surface chemistry, flotation, dewatering, rare earth elements (REEs) processing, clay minerals characterization, coal and mineral processing are available to highly skilled and motivated students. Please contact Dr Majid Ejtemaei at m.ejtemaei@uq.edu.au for more details.